HOUSTON, September 10, 2013 – Fueled by recent changes in tastes and the fashion world’s recent enthusiastic celebration of everything mustache, the whisker is on the rise. The fact that some have fewer facial follicles than others is where Houston Hair Restoration surgeon, Dr. Bernard Arocha of Arocha Hair Restoration, comes in. 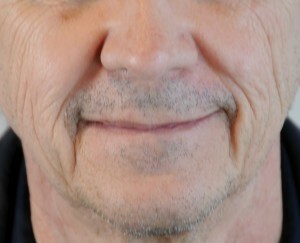 He has noticed an uptick in demand for facial hair transplants among those seeking more stubble. and/or beard areas. The number of follicles transplanted can range from a few hundred to more than 1,000, depending on the patient’s goals. Recent research confirms that women prefer stubble. A study published in the journal Evolution & Human Behavior found that the vast majority of women found that a man sporting a 10-day heavy beard is more attractive than when he’s clean shaven or has light stubble. The researchers hypothesized that the ability to grow facial hair strongly influences people’s judgments of a man’s socio-sexual attributes – their maturity, masculinity and virility. “We work to give the face the balance and symmetry necessary for an attractive appearance by filling in the patches that can make him look less healthy and less mature,” said Dr. Arocha. Earlier this year, Arocha Hair Restoration introduced the ARTAS Robotic System to the Houston area. It uses sophisticated imaging technology and precision robotics to locate and collect individual follicular units accurately and consistently, thousands of times in a single session. ARTAS is used on the back of the patient’s scalp. In addition, Dr. Arocha offers the traditional method of harvesting follicles by removing a strip of scalp and methodically extracting the follicles with the help of a microscope for patient who prefer that option. Led by Bernardino Arocha, M.D., Arocha Hair Restoration offers patients in Houston, Dallas, Fort Worth and throughout Texas and the United States a full range of hair restoration options including state-of-the-art hair transplant surgery and medications that promote hair growth. Arocha Hair Restoration uses advanced technology and a sophisticated hair restoration procedure to restore receding hairlines and crowns using the patient’s native hair. Recovery is fast and results last a lifetime, are completely natural and usually undetectable.